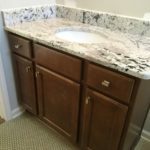 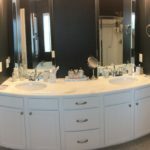 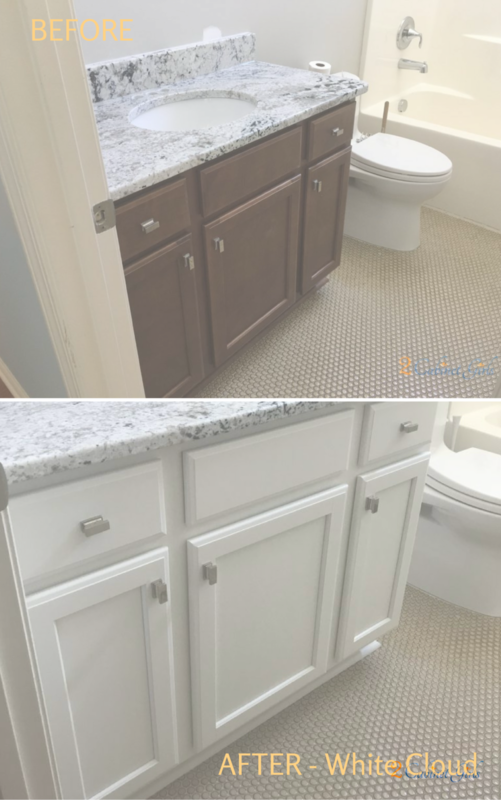 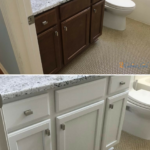 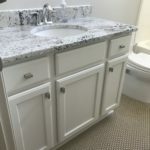 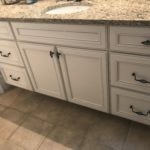 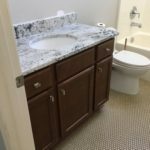 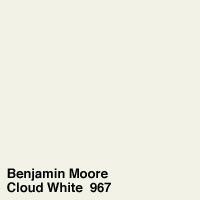 Choosing the paint color for this bathroom vanity was easy. 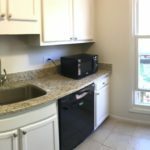 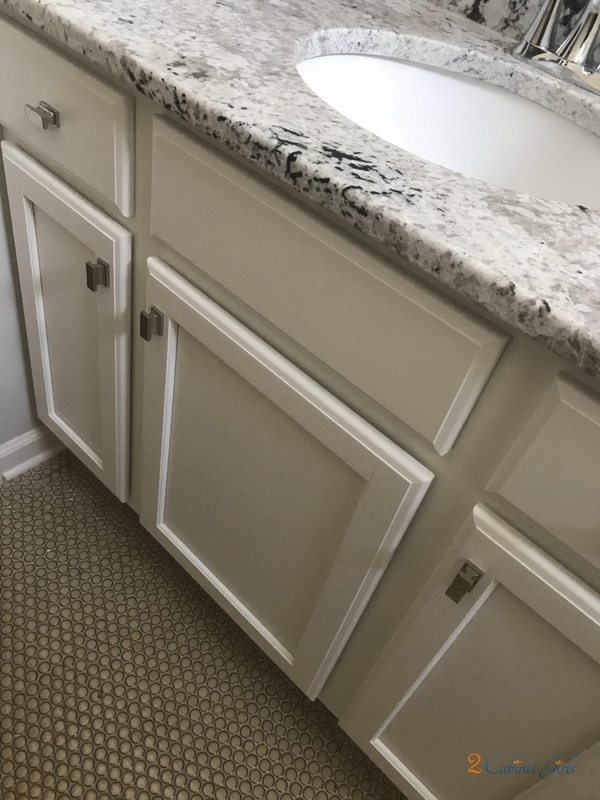 The homeowner let the granite guide her in the right direction. 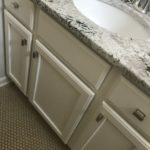 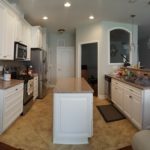 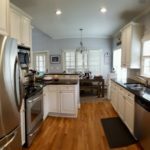 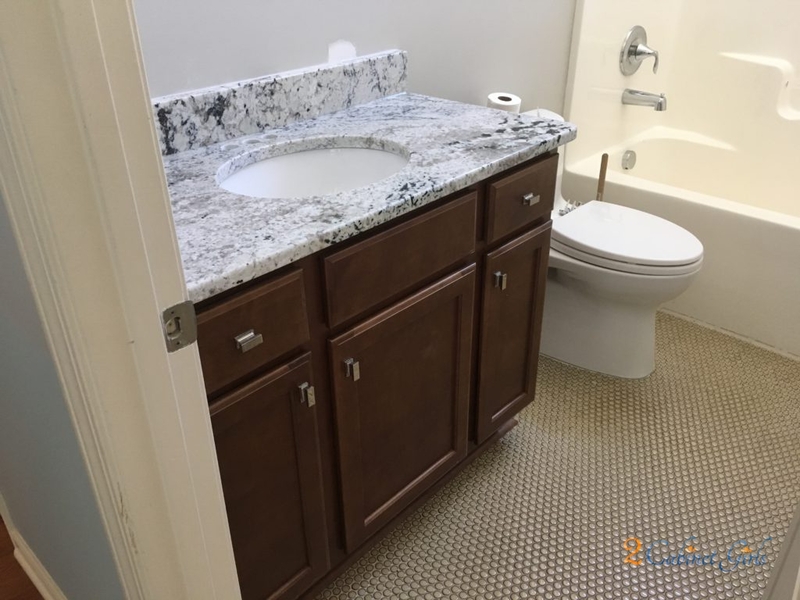 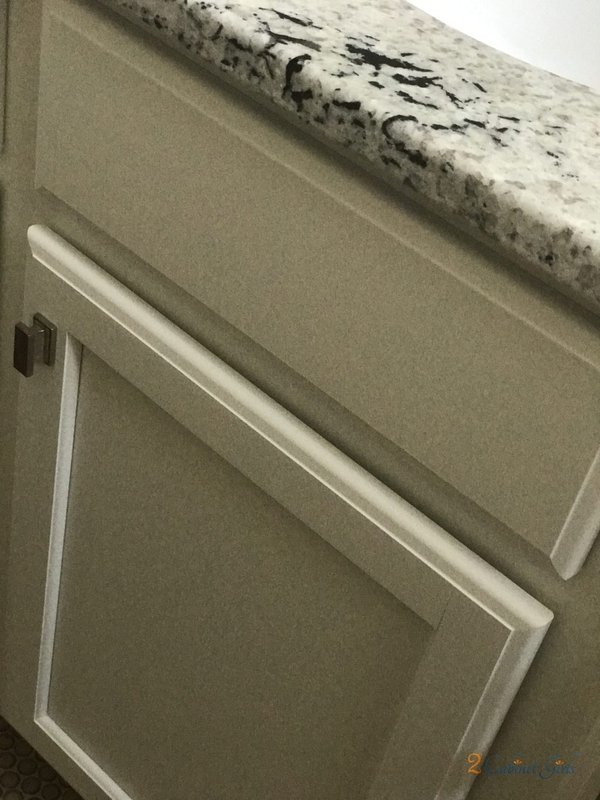 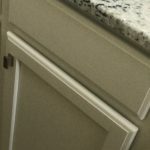 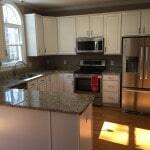 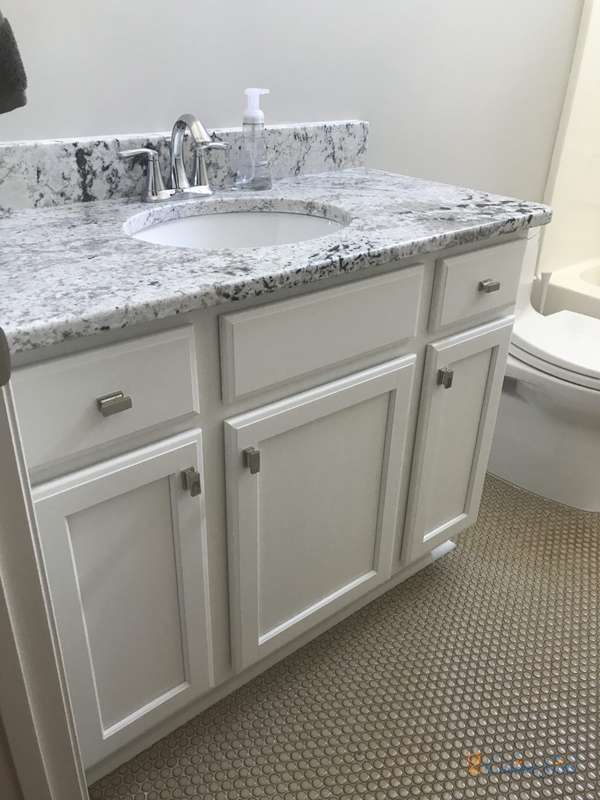 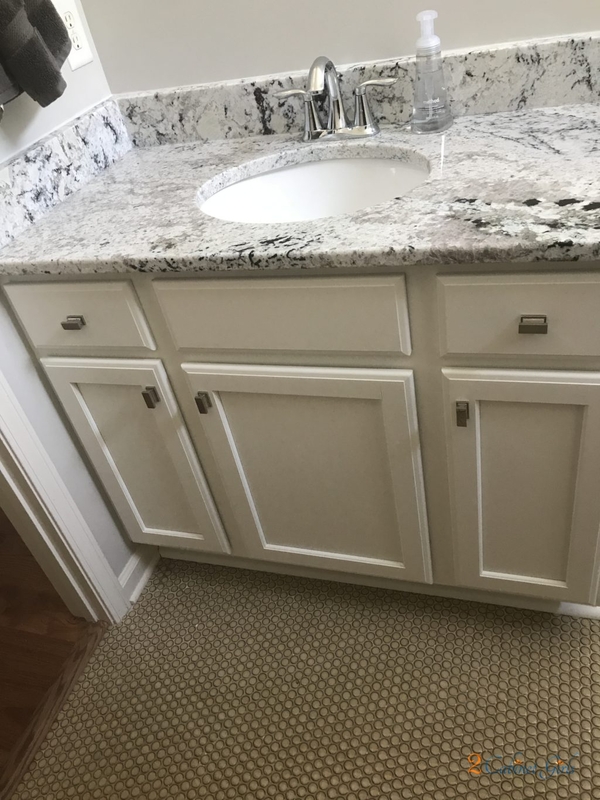 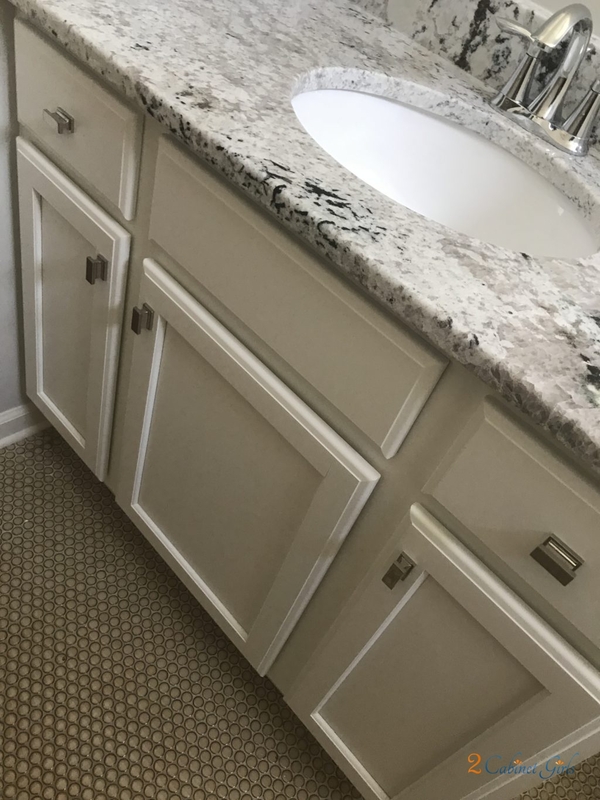 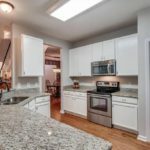 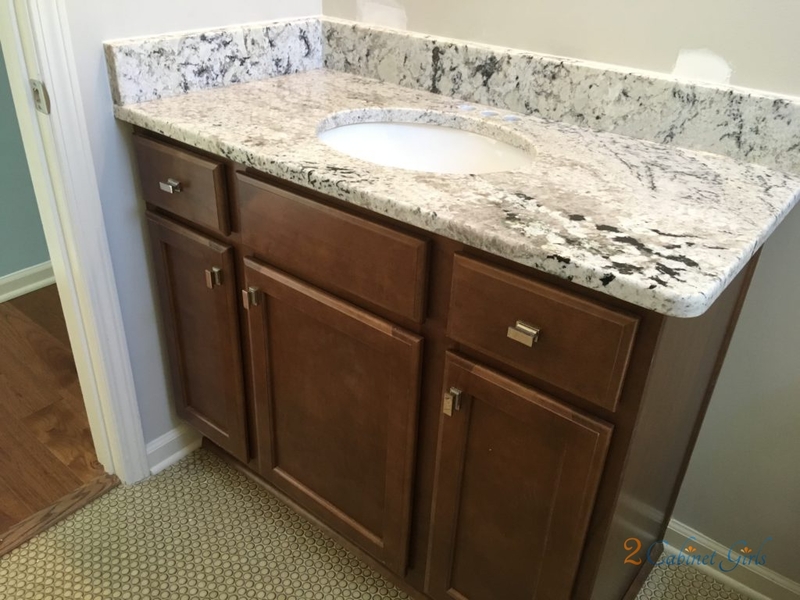 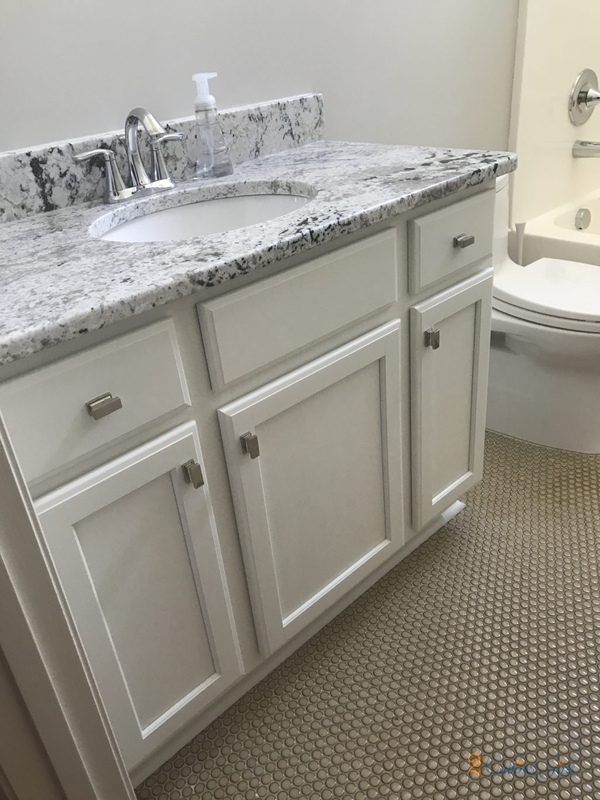 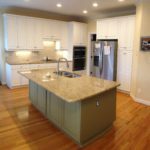 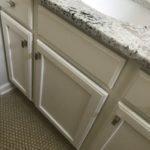 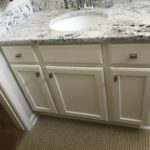 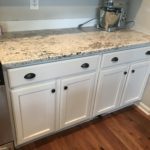 She chose a white that would blend perfectly with new, gorgeous granite. 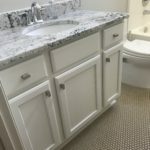 Now, not only does the vanity feel brand new, but so does the awesome tile floor!